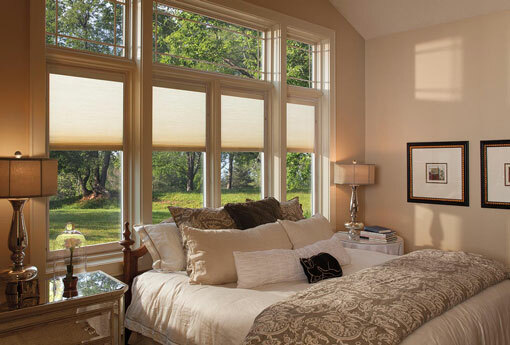 Keep the power of sunlight and darkness at your fingertips with Pella Windows and Doors’ new Designer Series windows with snap-in between-the-glass blinds and shades with Insynctive technology. Each shade or blind has its own solar panel that charges a built-in battery so it doesn't require wiring. And if your blinds and shades don’t get enough light to charge and power themselves, you can recharge the battery from the inside via a small port built into the window. Motorized shades and blinds are a boon for regulating light from hard-to-reach windows or saving energy by blocking or letting in the sun’s rays. Programming the raising and lowering of the shades and blinds is made easy, since the windows are part of the company’s new Insynctive home automation line, which also includes sensors for monitoring the status of windows, doors, garage doors and entry door deadbolts. The Insynctive system’s Z-Wave bridge also links the windows to compatible home automation systems like Wink and Nexia. The Designer Series windows are expected to ship in April starting at $1,000.